- Management of MRO processes. 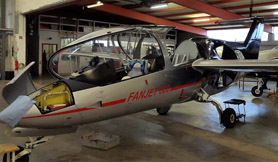 In our FBO Siegerland (EDGS) we are able to maintain, repair and modify your aircraft. Our experienced workmanship allows us to handout your plane in an excellent turnaround time. In case of interest please contact us here.